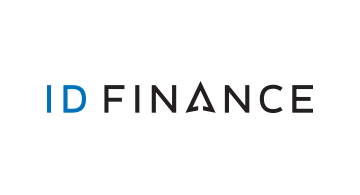 Headquartered in Barcelona, ID Finance is a fast growing data science, credit scoring and digital finance provider globally focused on emerging markets. We are pioneering fintech innovation in 8 countries across Europe, Asia and Latin America, have several geographies pipelined. The company has been recognized as a unicorn of tomorrow by London investment bank, GP Bullhound, has been also named by Financial Times as the second-fastest-growing fintech in Europe in its FT 1000 Europe listing, ranked 50th in Inc 5000 Europe. We have 6m registered clients, saw an 89% revenue growth in 2017. There are more than 600 professionals developing business across our operations in Spain, Georgia, Russia, Kazakhstan, Poland, Brazil and Mexico, and R&D located in Belarus’ Hi Tech Park in Minsk. We are leveraging the growth of mobile internet and availability of data to provide access to competitive and transparent financial services, and address the massive structural demand unmet by incumbents. Data science is improving the quality, precision and speed of operations to deliver more competitive and convenient financial services. We’re applying ML and AI across our business, from reviewing clients to optimizing digital marketing campaigns and providing efficient customer service. Together with our partners, we have built the digital finance infrastructure for fintech services in several countries in less than five years. We can now reach profitability within a year of launching into a new territory. We are aimed to become be the biggest non-bank lender in Brazil by the end of 2019. We plan to raise $170m from bond issuance to support our growth, with the aim of being in 12 countries all across the globe by 2021. We are profitable, have 8 countries under the belt, employ 600 talents, treat 6m registered clients, saw a 97% revenue growth in 1H2018.